Second time at Tiger Muay Thai and as always loved it all! 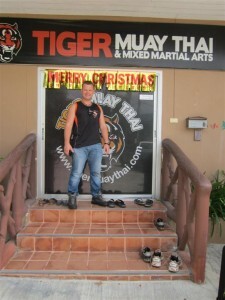 “Second time at Tiger Muay Thai and as always loved it all. Group classes great! Personally, the trainers were fantastic. Nai and Nontachai were really great in the way they looked at small details and tried to go out of their way to help. Philipe and office staff absolutely made me feel like was where I belong sad to leave ,but will be back hopefully in April to train seriously.